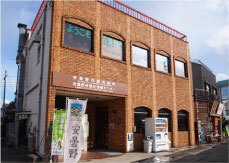 Tourist Information Center – Explore Azumino! 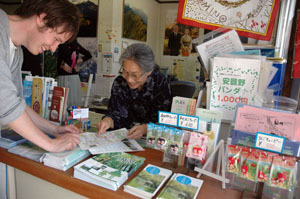 Azumino City runs a dedicated tourist office throughout the year outside Hotaka Station. English-speaking staff are friendly and are on hand with lots of great information regarding attractions throughout the area. Free wi-fi is available without any registration and password. Discount coupons are also available for several of the museums along the Azumino Art Line. Exit JR Hotaka Station, and see straight ahead. You can’t miss it!